Another cold week, another whopper withdrawal. 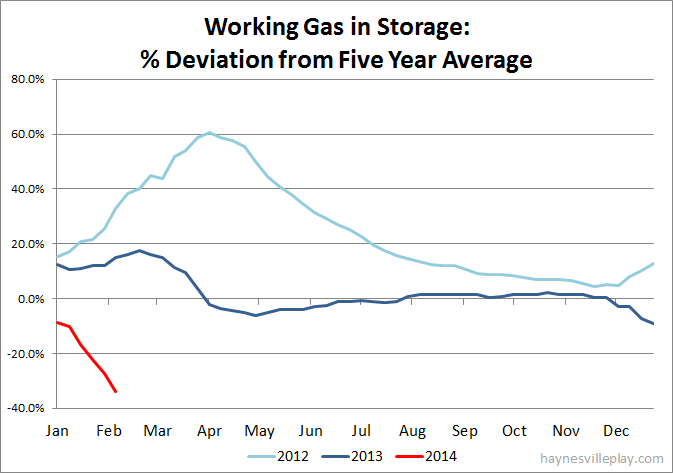 The EIA reported that working gas in storage was down 250 Bcf to 1.443 Tcf last week. The withdrawal was 91% greater than last year (-131 Bcf) and 88% above the five year average (-133 Bcf). Note that the previous week's total was revised slightly upward in this week's report. 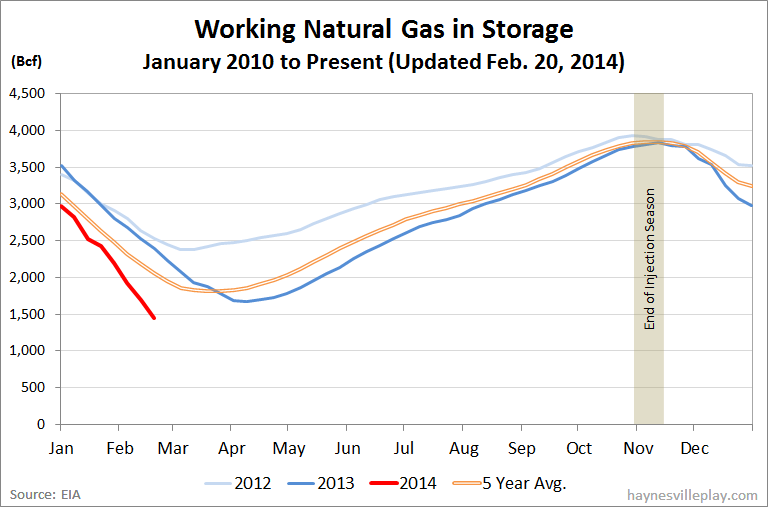 The current storage level is 40.3% below last year (2.418 Tcf) and 33.9% below the five year average (2.184 Tcf). Versus last year, the storage level is 975 Bcf lower! Temperatures in the Lower 48 last week averaged 27.3 degrees, which was 10.9 degrees cooler than last year and 8.4 degrees cooler than average.